A specially designed version of the popular Orchard cooperative game offers not only a game but great solid wooden fruit for open play. 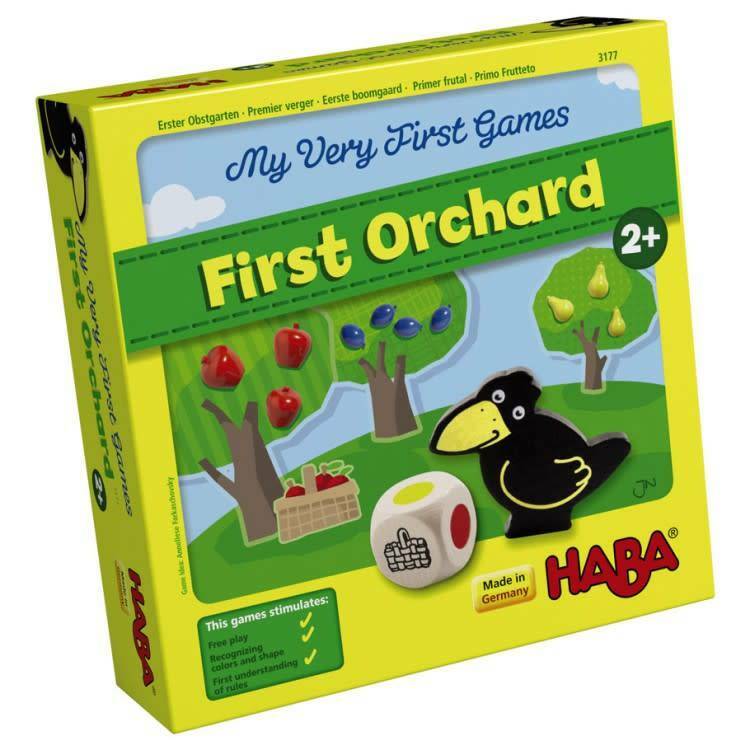 Players roll the die and either collect the fruit hoping to harvest it all before the pesky raven reaches the orchard. In My Very First Games: My First Orchard players roll the die and collect the fruit, hoping to harvest it all before the pesky raven reaches the orchard. If the raven is rolled on the die, it moves one step closer to the orchard. This cooperative game is designed to foster social skills, develop color recognition skills, and teach counting by ones.